Spacer is used to introduce the distance between lower edge of the top cradle and bottom apron nose bar which determines the distance between top and bottom aprons. This in turn determines the intensity of pressure applied to the fibers to be under control. 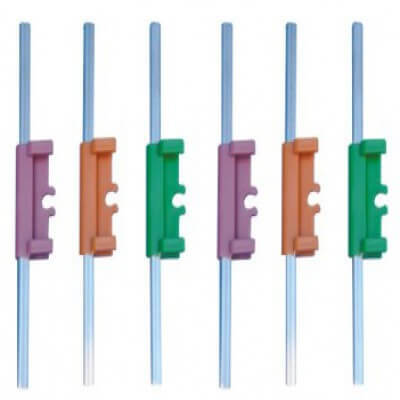 Pin spacer is made of spacer of different sizes and pin of different heights. Pin that is adjusted on the spacer represents an additional deflection point in the yarn path through the drafting system. It is used in Spinning Mill and has a great capability to decrease neps and thick places. The Pin Spacer fabricated and supplied by us is appreciated by our customers for having high corrosion resistance, optimum performance and low maintenance cost. We also analyze these Pin Spacers on the basis of various well-defined parameters to assure a defect-free array to our customers.